According to the World Food Program, some 795 million people – one in nine people on earth – don’t have enough food to lead a healthy active life. That will only get worse with the next global food crisis, predicted to occur within four years by experts at the recent Third International Conference on Global Warming and Food Security. 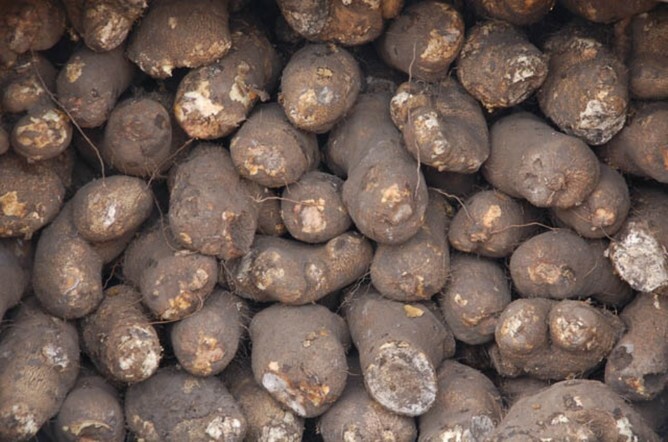 Yam tubers are a staple in West Africa. In most African countries, however, GM crops remain a farfetched idea. 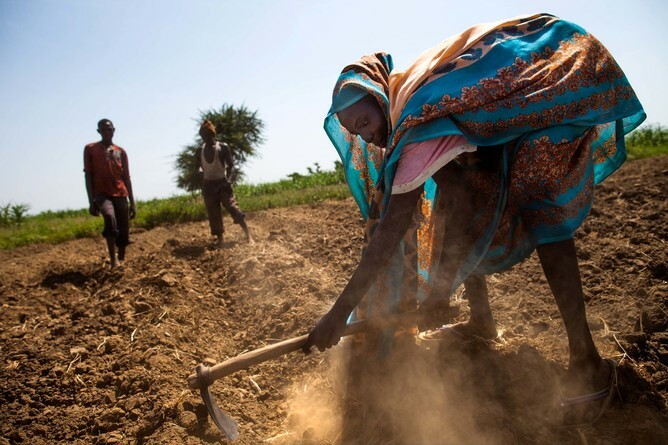 Despite important economic progress and agricultural successes, according to the Food and Agriculture Organization, Africa remains the world’s most food-insecure continent. One-third of our continent’s population is chronically undernourished. Chronic malnutrition, or “hidden hunger,” though often invisible, is devastating and deadly. Over half of children’s deaths globally can be averted if children have access to nutritious foods. 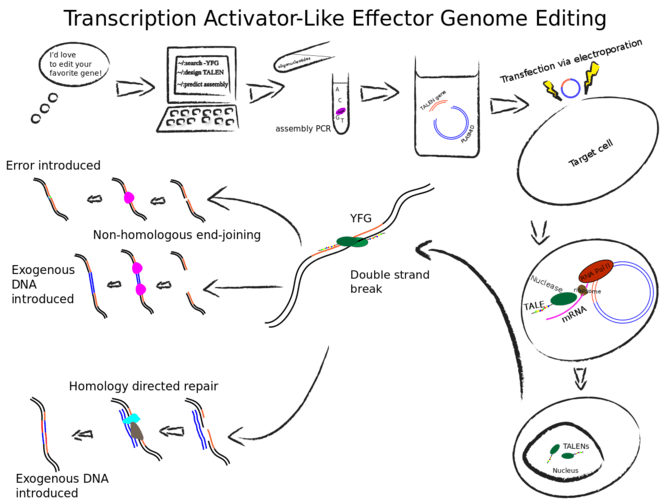 TALEN is one gene-editing technique that can modify the genome of a crop plant. 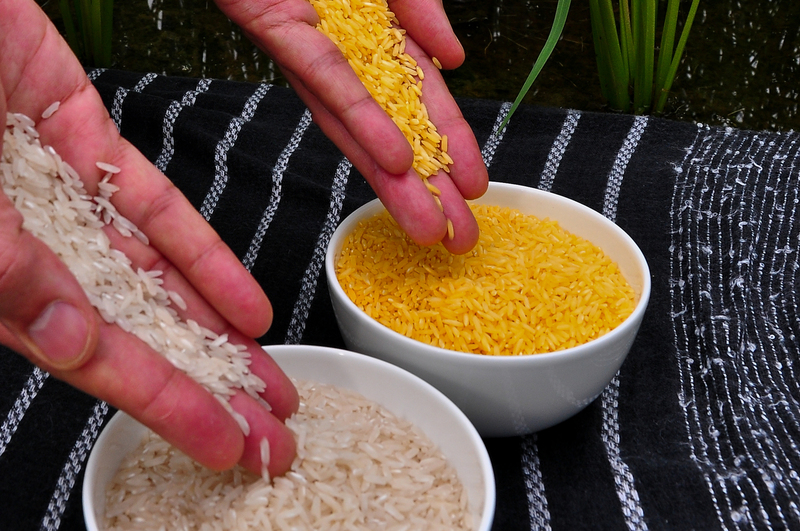 Golden rice has beta-carotene biosynthesis genes added to its DNA. Of course, ideally we’d be able to increase food access in ways that don’t include risk, but there are few, if any, options at this level of potential positive impact that are risk-free. Protesters in India rally after a farmer’s suicide. Because strict regulatory oversight is mostly lacking on GM techniques including genome editing, it’s conceivable that biotech companies may develop experimental gene-edited crops for testing in developing countries where the need for food is greater than the political will to protect the masses. India’s experience with GMO crops makes the point. While still a multifarious issue, increased incidence of farmer suicide in India has been identified as an unforeseen consequence of the poorly regulated adoption of genetic engineering in that country. 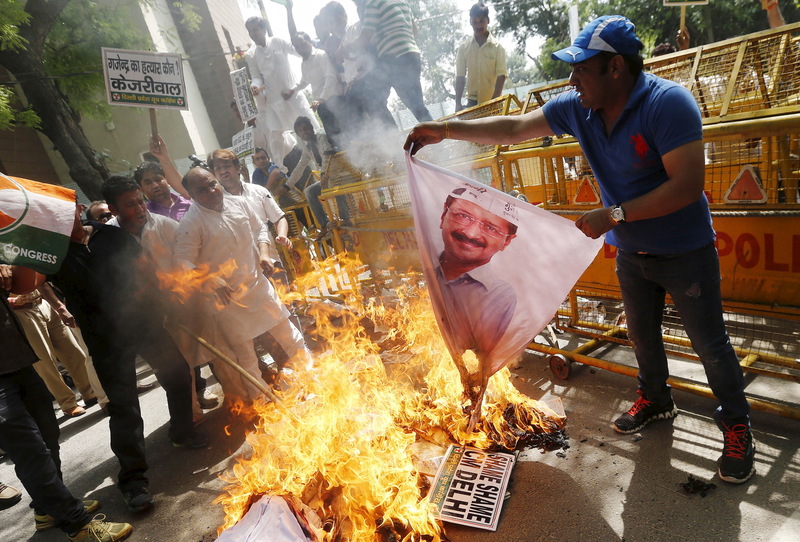 Activists contend indebtedness and crop failure were the main reasons for India’s farmer suicides – and both were inevitable outcomes of the corporate model of industrial agriculture introduced in India. The world needs more nutrient-rich, environmentally friendly food production. More gene editing in food crops makes sense, but only with prudent regulatory mechanisms in place to ensure the safety of these new approaches to food availability. We don’t want to see more harm than good done as we seek to address the issue of global food security. This piece was coauthored by Zimbabwean Dr Lindiwe Majele Sibanda, CEO of Food Agriculture Natural Resources Policy Analysis Network. Utibe Effiong is Resident Physician at St Mary Mercy Hospital and Research Scientist for the Exposure Research Laboratory at University of Michigan. Ramadhani Noor is Doctoral Student, Nutrition Epidemiology at Harvard University.